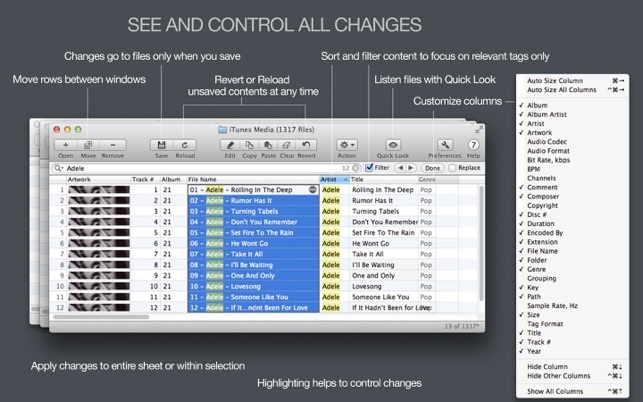 All these actions can be done in one window, using keyboard shortcuts, and with full control over your changes. 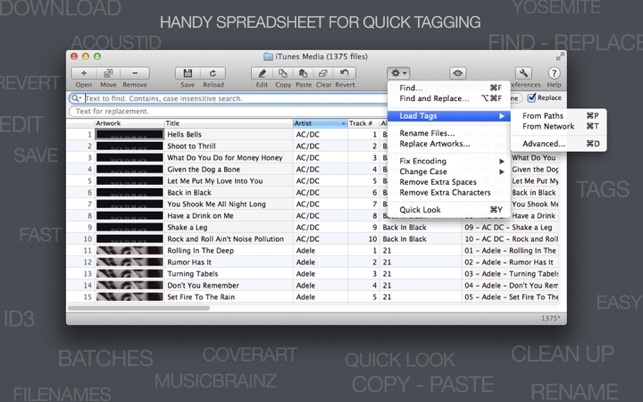 Tag Editor Free supports ID3 tags for MP3, WAV, AIFF, FLAC, and MP4 tags for MP4 and M4A (Apple lossless) files. You can edit Album, Album Artist, Artist, Artwork, Audio Codec, Audio Format, Bit Rate (kbps), BMP (Tempo), Channels, Comment, Composer, Copyright, Disc Number, Encoded By, Genre, Grouping, Key, Title, Track Number and Year tags. 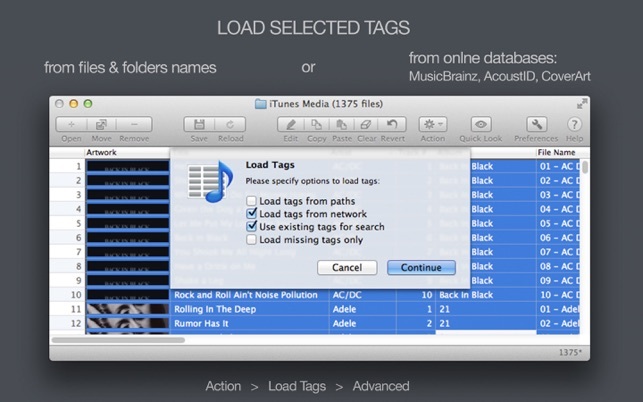 Technical information, such as Duration, Extension, File Name, Folder, Path, Sample Rate (Hz), Size, Tag Format and others can be displayed and used for creation of tags. •	Speed up your workflow – process and save hundreds of files at once. Rapid Tagging subscription is available monthly for $5.99 or yearly for $14.99. Please, email to sup.amvidia@gmail.com about feature requests or any problems. We always glad to improve our applications for your needs. 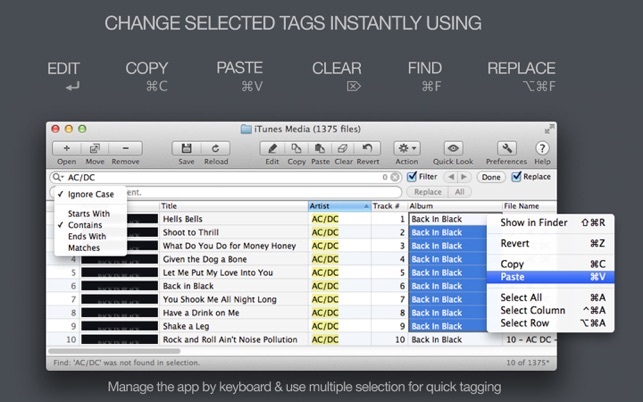 If you like “Tag Editor Free”, a review on the App Store would be very appreciated. Handy for batch editing of tags. It’s speedy even in embedding artwork. 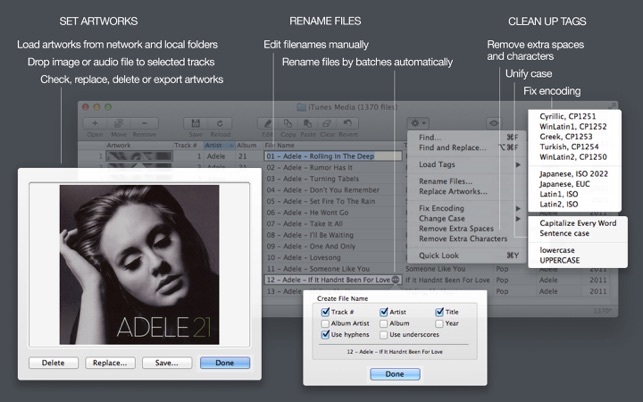 Helpful to deal with FLAC files. The app is super slow to load even 15 mp3 in one go. What’s worse, after a few edits, it will nag you to death to get the paid version. Deleteded it after it got too annoying.